Includes a varation of trapping methods and materials. Recently introduced are the economy versions of the standard traps also supplied. Economy versions have 2/3 capacity of the standard trap but are a much cheaper alternative for mass trapping/monitoring projects. 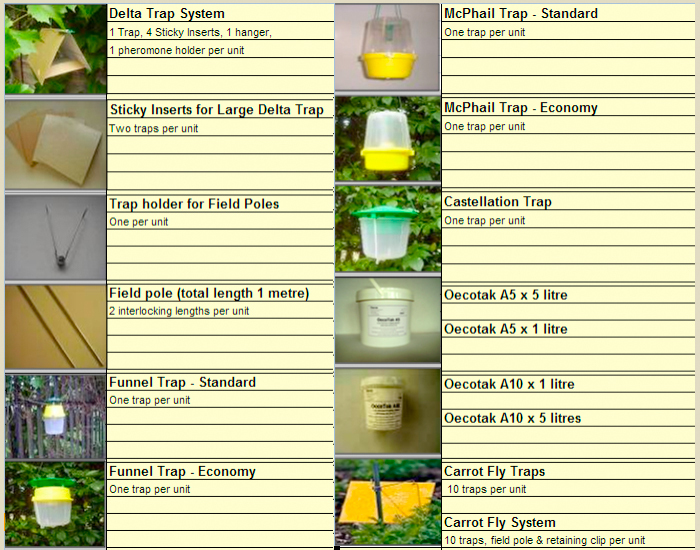 The castellation trap is an alternative moth trap for use with pheromone lures in the economy style.